In this file photo from Jan. 12, 2017, Philadelphia Mayor Jim Kenney answers questions during an interview in his City Hall office. Philadelphia Mayor Jim Kenney presented a revised plan to City Council on Thursday to fund the debt-ridden School District of Philadelphia, reducing his previously proposed increase of the city's property and real estate transfer taxes. In briefing on the city's new Five Year Plan from FY19-FY23, Mayor Kenney said the burden of the initial increases could be minimized as a result of newly-certified property assessment values, which rose in aggregate by approximately 11 percent across the city. Individual property owners whose assessments changed will be notified by mail of the change early next month. Instead of the originally proposed six percent increase in the city's property tax, the new plan calls for an increase of 4.1 percent, upping the rate to 1.4572 percent from the current 1.3998 percent. The local portion of the real estate transfer tax would rise to 3.413 percent instead of 3.45 percent under the previously proposed 8.5 percent increase. A longer timeframe for reductions in the city wage tax and a commitment of $100 million to the school district over the next five years will remain intact from the original plan. In a separate proposal, Kenney will seek an expansion of the city's Homestead Exemption Program in light of growing property values in Philadelphia. The Office of Property Assesment's new figures place the value of Philadelphia's median residential property at $128,100, up $15,000 from the previous median value. 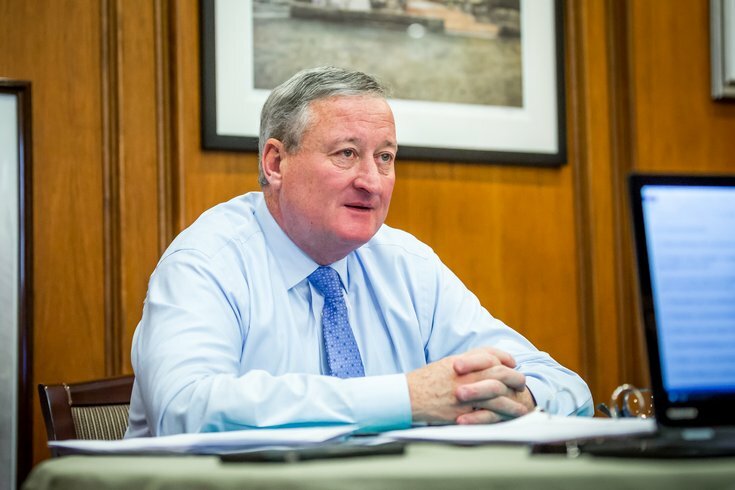 The Kenney Administration will now seek approval from City Council to increase the homestead exemption from $30,000 of assessed value to $45,000, rather than $40,000 in the original proposal. Under this plan, combined with the property tax increase, owners of the median-valued home would actually see their property tax decrease by $162, Kenney said. Owners of median-valued residential properties without the homestead exemption would pay an additional $73 annually, or about $6 a month. Those who own property valued up to $400,000 would also see a decrease in their tax bills if they have the new level of homestead exemption. If they are enrolled in the program at its current level, they would pay an additional $51 per year. The revised plan came on the same day the School Reform Commision, which is set to undergo a transition back to city control, approved a $3.15 billion lump sum budget for FY19. District officials said the Kenney administration's proposed Five Year Plan would created balanced budgets through 2023 instead of a $900 million combined deficit. Despite that massive figure, the district is on track to conclude its fourth consecutive year with a positive fund balance, projected to be $135 million by the end of FY18, officials said. City Council will open its budget hearings on Monday, March 26, with a review of the proposed Five Year Plan.